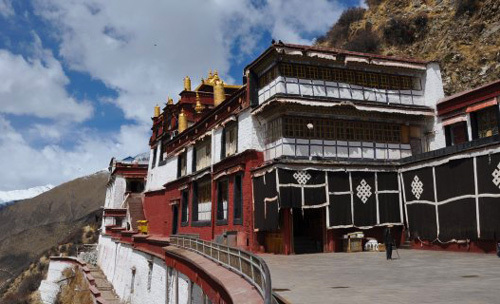 Tidrum Nunnery is located about 110km from Lhasa city and close to Drigung Til Monastery. 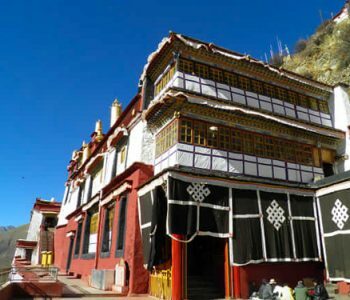 It is said that Guru Rinpoche once mediated in the cave on the back mountain of the nunnery. 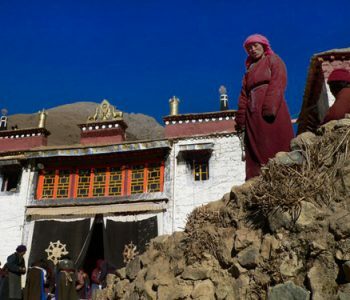 Therefore, it has strong connection with Guru Rinpoche, his consort Yeshe Tsogyal and King Trisong Detsen. There are many hermitages and caves on the hill surrounding the main assembly hall. 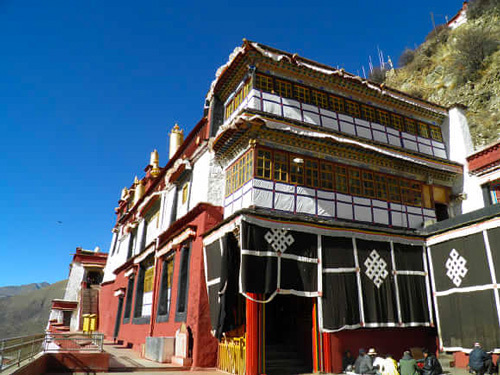 In the nunnery, there are statues of Guru Rinpoche, Sakyamuni and Avalokiteśvara. Now this nunnery has housed about 108 nuns. 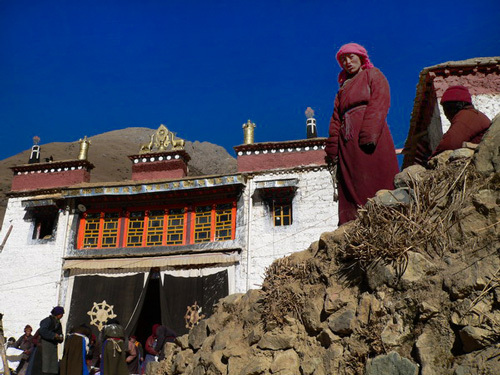 There are also hot springs up the steep hill called Tidrum Hot Spring. Travelers like to take a bath there and the spring is said to have magical healing powers of many illnesses. 1.There is no car allowed to enter the village. 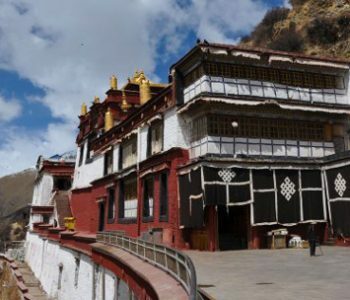 Vehicles can stop at the edge of this Nunnery and you can trek to the hot spring.